NEW YORK, June 5, 2018 – New York Fashion Week participating fashion brand, HIROMI ASAI, unveils the novel cotton shirt and jacket lineup for 2019 spring/summer menswear collection at Pitti Uomo 94 in Florence, Italy on June 12-15, 2018. The theme of the collection is “Eden”, representing sophisticated and luxurious styles with beauty and romance, created by 100-year-old looms. Comfortable and well-tailored shirts and jackets were all made of finest Kimono cotton textile, Ise Momen. Organizers: Reed Exhibitions Japan Ltd. FASHION WORLD TOKYO is a leading exhibition for fashion industry in Japan, gathering all kinds of fashion wear, bags, shoes and fashion accessories. This year, the scale of the show is expected to be double compared to the previous show. 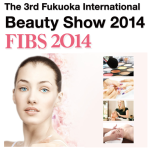 Come to Tokyo to find the latest collections and the trends for the next season!